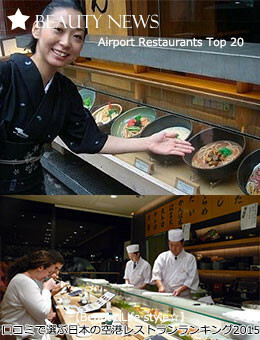 Traveller recommended Airport Restaurants Top 20 : Happy Aging & Beautiful Anti Aging loving. In Japan it has begun departure rush from today. It was announced from TripAdviser, You'll want to eat carelessly before the outward and homeward flight , traveler recommended airport restaurants Top 20.